A healthy business has strength in each area and all areas are well integrated. We have prepared a business health check for you around the primary workflow & information management areas associated with each of these portals. Take a few minutes to complete the Health Check questionnaire and transfer your scores to the graph page provided. A key has been provided with the graph page to indicate the relative health of each workflow and information management area. It is noted that not all workflow and information management areas are applicable to all businesses. 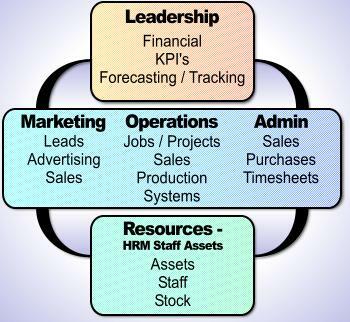 OST Database Group can assist businesses with the management of all these workflow and information areas. Please call or email us to organise a time to discuss how we might be able to assist your business.